The “What’s This?” item pictured two weeks ago came from Stan Shavlik, from Linwood, Neb. He called it a “flail” and that’s what some of our readers called it, too. Dennis Schlichting of Rosalie, Neb., said the item “is not some medieval battle equipment, but a very early threshing machine. In parts of the country, small grains were cut and hauled into barns where, when dried or slack time, it was spread out on the floor, termed the threshing floor. “The item pictured is called a flail. 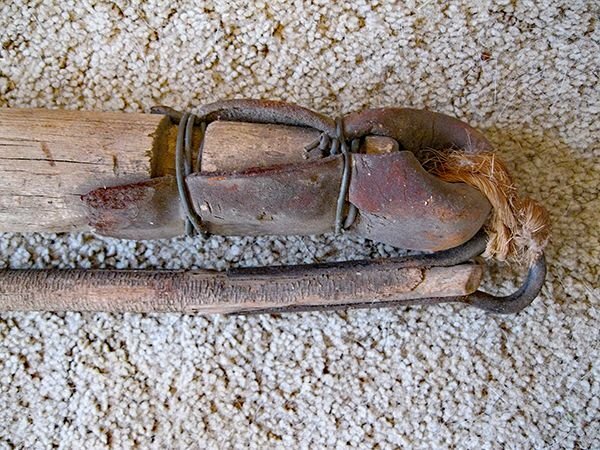 It was handled by the long skinny shaft and swung at the straw laying on the floor so that the heavy hinged piece hit the hay or floor flat. In this way, it knocked the grain loose from the straw. 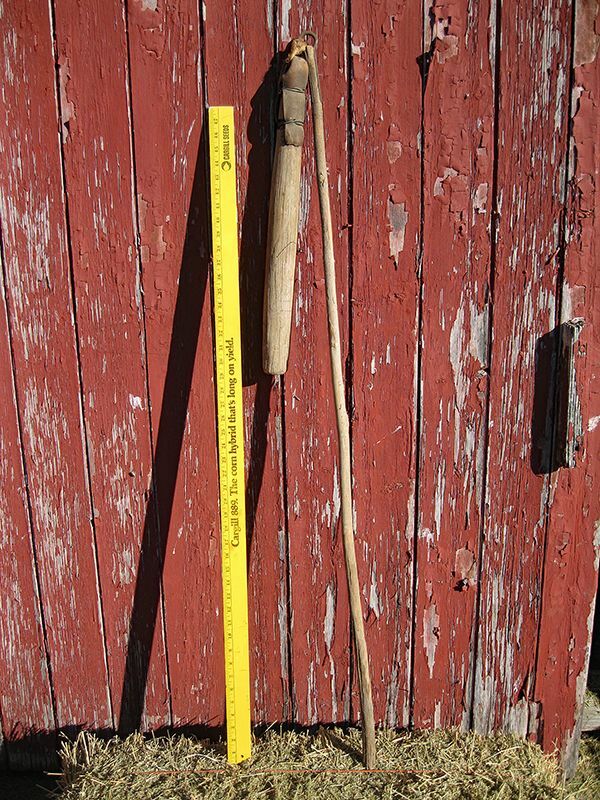 After beating the grain loose, a special winnowing fork was used to remove the straw from the floor to either feed to livestock or use as bedding. I think it is a grain or wheat flail used for separating grain from husks. Dave Oliver, Weeping Water, Neb. We believe the tool is a flailing tool, used to pound grain from the straw. The straw was swept away and the grain picked up. Deciding what the tools are is a fun time for our morning coffee group at Mel’s Bar in Scribner. Duane Muller, Scribner, Neb. Gerard Weber of Princeton, Kan., has been mulling over the mystery of this object for many a year.